After a 7.8-magnitude earthquake and several strong aftershocks devastated Nepal, thousands have been reported dead and many more injured and displaced. There are more than 29 million people in Nepal, speaking around 120 languages, and our hearts are heavy for all of them. We mourn with them in the loss of loved ones, homes and livelihoods, and we pray that God will provide abundantly for them in their distress. He is the God who never fails, never forsakes and never changes. Our deep desire is that all Nepalese people would hear him speak these truths to their hearts as they deal with this tragedy. Over and over again, we have seen God prove his faithfulness in the face ofearthquakes, tsunamis, persecution and other hardships. If you have the time, I encourage you to read those stories. I hope they give you some perspective in the midst of this tragedy today. 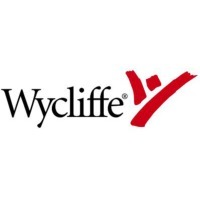 Though Wycliffe USA is not set up to provide emergency assistance, our partners at SIL International have recommended several relief organizations that are doing wonderful work. If you feel led to give, I encourage you to give through one of them. Above all else, I hope you’ll join us in praying for Nepal. Such desperate situations can leave us feeling overwhelmed and wondering how to help, or questioning if our efforts could ever make a difference. I am convinced that the place to begin is with prayer. God’s Word tells us he will honor our prayers. If you’re unsure where to begin praying, here are a few ideas to guide you. Pray for the people in Nepal — those injured, those who have lost loved ones, and the search and rescue workers risking their lives. Pray also for Nepal’s government and local leaders who need wisdom, courage, compassion and access to resources. Pray that God’s comfort and provision will be evident to all, including those who don’t yet have a relationship with him. Pray for the earthquake relief workers across the globe who are gathering supplies and manpower to send to the Nepalese. Pray that teams on the ground will reach those in need quickly with food, water, medicine and shelter. 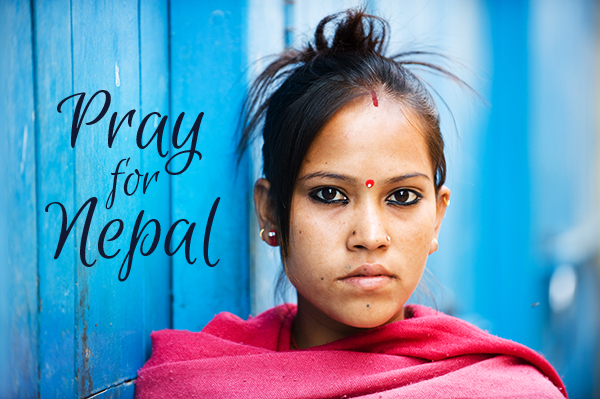 Pray that God’s love will be demonstrated to the Nepalese through these acts of mercy and kindness. Pray for the Good News to reach into hearts all over Nepal so that people can know God intimately and rest in his hope and infinite love, despite enormous heartache. Pray that our brothers and sisters there can be catalysts of comfort and peace for their neighbors as they grieve together. Praise God that even amidst suffering, his goodness and faithfulness are unchanging.